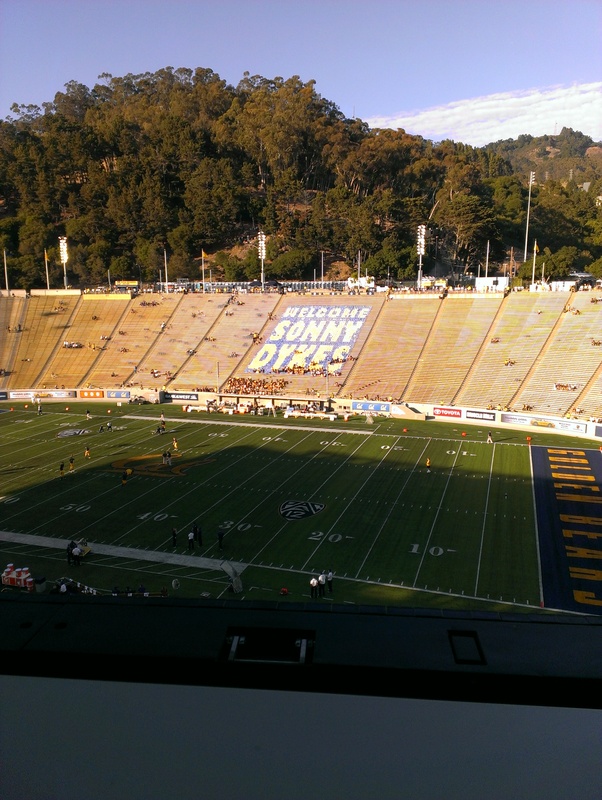 Saturday marked the second meeting between Cal and Northwestern. The last time these teams met was in the 1949 Rose Bowl. Northwestern came out victorious that game and Cal had revenge on their mind for their home opener. Collin Ellis returned two interceptions for touchdowns to seal the deal for No. 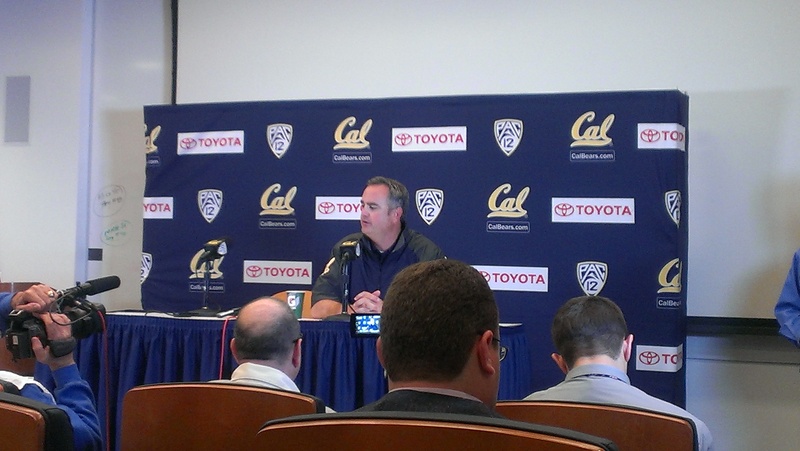 22 Northwestern to spoil Sonny Dykes debut as Cal’s new head coach with a 44 – 30 victory. Ellis returned the first interception for 56 yards in the third quarter to give the Wildcats a 27-24 lead. He then returned his second interception for 40 yards that gave Northwestern a 10-point lead in the fourth quarter. 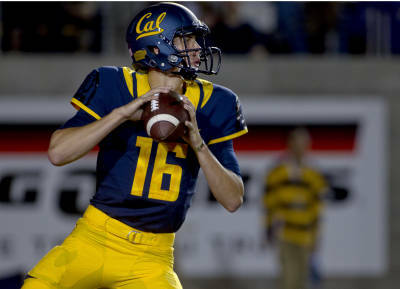 The interceptions, three total, were some of the mistakes made by Jared Goff, who became the first true freshman ever to start the season opener for the Golden Bears. Goff went 38 for 63 for 445 yards and two touchdowns. Trevor Siemian went 18 for 29 for 276 yards and a touchhdown when Colter went out. Treyvon Green ran for 129 yards and two touchdowns. Cal linebacker Chris McCain was ejected from the game after officials ruled a helmet-to-helmet contact on Siemian. On the following play, Siemian hit Dan Vitale on a 53-yard pass to set up Jeff Budzien’s third field goal of the game to give Northwestern the lead. On the next drive, Goff’s short pass went of Darius Powe’s hands and right to Ellis who raced in to make it 37-27. Cal lead early in the third quarter when Goff threw two TD passes to Chris Harper in a 47-second span that included a fumbled kickoff return by Stephen Buckley in between the two touchdowns. Cal took the opening kickoff and drove 82 yards for a touchdown. The drive ended with a fake field goal attempt. Holder Jackson Bouza flipped the ball back to kicker Vincenzo D’Amato, who passed it back to Bouza fo a 10-yard touchdown. The rest of the first half didn’t go well for the Bears. Northwestern scored 17 unanswered points behind backup QB Trevor Siemian. Cal was able to cut the lead to 17-10 at the half when Goff executed a 10-play 84-yard drive that led to a field goal by D’Amato. I’ve been doing new tasks at work so I haven’t been able to post. I’m good now and I am able to multi-task better. The Giants are currently playing right now and the office is currently at a standstill. It’s pretty amazing how sports stops everything. If my team was in the playoffs, I would be doing the same thing so I can’t complain. It has been a good series and I can see the Giants winning in six or the Cardinals in seven. It hurts me to say that the Giants have a CHANCE of winning. Last weekend was pretty good. I got to hang out with Seeking Style and we sang a bit. It was more her than me though. She has some nice flow on some songs, I was impressed. I went to a Pumpkin Patch with King Alex on Sunday. He was a bit scared. The place is located close to the airport and the sounds of the planes were getting to him. He has his first pumpkin!. Unfortunately, I accidentally deleted the picture. I apologize. An interesting thing happened to me on Friday night. I guy approached me and was getting angry at for a little bit. Came out of nowhere. He mistaken me for somebody else. His friends were trying to tell him that but I guess the alcohol got to him. Here are a few things you guys and gals can do this weekend, courtesy of me. Ben Affleck continues to amaze me when he is behind to camera. Hopefully that streak resumes when I check this out on Sunday. The cast looks stellar as well. I’ve only been here twice and the drinks were awesome. Sacramento folks, I recommend ordering the West Indies Sour. For eats I recommend, via Seeking Style, the Rabbit Ravioli. The dish was small, but it was still delicious according to her. You can’t hate on the classics. This weekend, I will be involved with one of these three things. Heck, all three might happen in one day. I hope the Raiders shock the world against the Falcons on Sunday. If they get the victory, then it will be a successful weekend. If not? Well, then….I probably will not post anything on Monday. Thank you Reds for allowing the Giants to advance to the League Championship Series, NOT!!! Kudos to the Tigers for handling business against the A’s. I know I have been hating on the A’s but I do know that they have a good squad. They will be tough to handle next year. I looked it up, this song was released ten years ago. Still good though. Well, thank you Reds for screwing everything up. Another thanks to the Tigers for letting the A’s live another day. I’m doing research for some posts next week which could be good. Today I nothing special to report besides me wanting the Giants and A’s to lose. Something tells me I’ve posted this song before. If I did, I apologize for that. Either way, this song is a classic. That’s how I feel today. It’s unfortunate because it is a very nice day. We all have these type of days, regardless of what the weather is like. I want to share something. A nice, chill Sunday morning spot. This place is located in San Francisco and it is DELICIOUS. It’s a restaurant with a cafe feel. It’s a bit pricey but it’s worth it. I can’t wait to eat Toast in a couple of weeks. If you go, YOU WANT the Church Street Omelet. I’ll leave it at that. Speaking of SF, still in the planning stages for the adventure in two weeks. My wish is 1/3 complete. The Rangers got knocked out in the Wild Card game on Friday. As of today, the A’s and Giants are one lost away from calling it a season. Harsh? Yes. Awesome? YES. The timelines on my Facebook and Twitter pages were quiet as a result. My weekend was amazing. What did I do? Nothing, I chilled…minus the baseball games this weekend. I don’t remember the last time my weekend was not busy. It was much-needed. I feel refreshed today. I caught up on some sleep and I did some working out. I didn’t even drink alcohol. A weekend of change. I know this is starting off slow. I usually have something interesting to post but not this time. Well…maybe one thing. Over the weekend, FOUR different people told me I should be Ron Washington, manager for the Texas Rangers, for Halloween. I don’t know how I feel about that. I try not to disappoint my people though. I already own a Rangers hat. I would just need a jersey and a little powdered sugar. I guess I could also find somebody and buy the real thing. We shall see though. I might change my mind. I have two more weeks to decide on the a costume. As of now, Mr. Washington is in the lead. I love knowing there is a song for EVERYTHING! !